People often ask why Chabad spend so much time on public menorah lightings. (A list of our menorah lightings are below.) Why do we emphasize bringing light to a public arena? Yesterday, was the 19th day of the Hebrew month of Kislev. This day is celebrated as the "Rosh Hashanah of Chassidism." It was on this date, in the year 1798, that the founder of Chabad Chassidism, Rabbi Schneur Zalman of Liadi (1745-1812), was freed from his imprisonment in Czarist Russia. More than a personal liberation, this was a watershed event in the history of Chassidism, heralding a new era in the revelation of the "inner soul" of Torah. The public dissemination of the teachings of Chassidism had in fact begun two generations earlier. The founder of the Chassidic movement, Rabbi Israel Baal Shem Tov (1698-1760), revealed to his disciples gleanings from the mystical soul of Torah which had previously been the sole province of select kabbalists in each generation. This work was continued by the Baal Shem Tov's disciple, Rabbi DovBer, the "Maggid of Mezeritch," who is also deeply connected with the date of 19 Kislev: on this day in 1772, 26 years before Rabbi Schneur Zalman's release from prison, the Maggid returned his soul to his Maker. Before his passing, he said to his disciple, Rabbi Schneur Zalman: "This day is our yom tov (festival)." Rabbi Schneur Zalman went much farther than his predecessors, bringing these teachings to broader segments of the Jewish population of Eastern Europe. 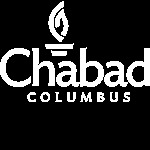 More significantly, Rabbi Schneur Zalman founded the "Chabad" approach-a philosophy and system of study, meditation, and character refinement that made these abstract concepts rationally comprehensible and practically applicable in daily life. In its formative years, the Chassidic movement was the object of strong, and often venomous, opposition from establishment rabbis and laymen. Even within the Chassidic community, a number of Rabbi Schneur Zalman's contemporaries and colleagues felt that he had "gone too far" in making tangible and popularizing the hitherto hidden soul of Torah. In the fall of 1798, Rabbi Schneur Zalman was arrested on charges that his teachings and activities threatened the imperial authority of the Czar, and was imprisoned in an island fortress in the Neva River in Petersburg. In his interrogations, he was compelled to present to the Czar's ministers the basic tenets of Judaism and explain various points of Chassidic philosophy and practice. After 53 days, he was exonerated of all charges and released. Rabbi Schneur Zalman saw these events as a reflection of what was transpiring Above. He regarded his arrest as but the earthly echo of a Heavenly indictment against his revelation of the most intimate secrets of the Torah. And he saw his release as signifying his vindication in the Heavenly court. Following his liberation on 19 Kislev, he redoubled his efforts, disseminating his teachings on a far broader scale, and with more detailed and "down-to-earth" explanations, than before. The Rebbe wanted us to continue bringing light to as many “forgotten” places in the world. When Jews feel all alone and isolated, our public menorah lightings remind them that wherever they may be found, they can light up their environment with much positive light, love and hope.